M.A. in English or in an allied subject (Linguistics, Education, Mass Communication or Psychology or Critical Humanities/Liberal Arts); (or) M.A. (in any discipline) with at least a second class. 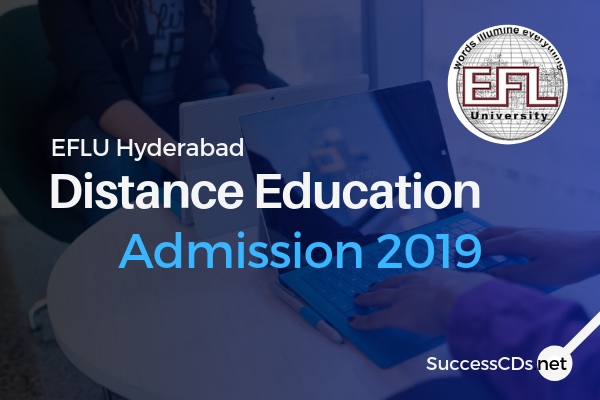 For application form and prospectus for the above programs, write to the “Dean, School of Distance Education, "The English and Foreign Languages University, Hyderabad-500007" enclosing a crossed demand draft for Rs.500/- (Rs.250/- for SC/ST) drawn in favor of the "Registrar, EFL University, Hyderabad-500007"